A $15 million state-of-the-art shed at Townsville port is setting new benchmarks in environmental best practice for the handling of bulk materials. It should also mean less heavy metals in dust escaping from the port. 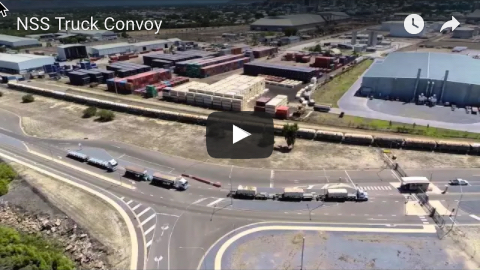 Stevedoring, transport and logistics group Northern Stevedoring Services has developed the Bulk Handling Facility, including new offices for the company, at 91 Hubert St, South Townsville. NSS general manager Juliette Sperber said the facility was providing a world-class offering to the resources sector, particularly second-tier players, and increasing the company’s capacity to handle bulk products requiring undercover storage. “We believe we have set a new benchmark for environmental best practice in bulk materials handling, illustrating that practical solutions can be environmentally friendly and cost effective,” Ms Sperber said. 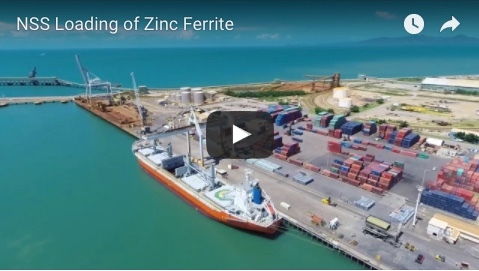 “Having a facility like this in the port is important for the trade of bulk materials at Townsville. 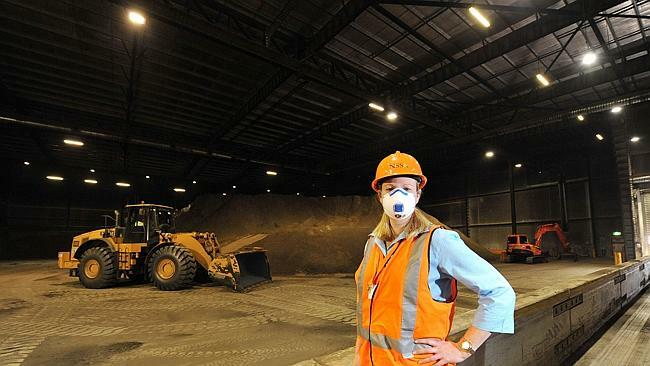 The facility has a floorspace of about 8500sq m and the capacity to store between 50,000 to 70,000 tonnes of material, depending on the density of product such as zinc and ­copper concentrates, zinc ­ferrite, coal and iron ore.
A key feature of the facility is stopping dust in its tracks. Air is sucked from the building to maintain negative pressure and prevent dust releases, while a hi-tech 48-filter filtration system cleans the air of particles down to a size of 0.5 microns, or 2000 times smaller than 1mm. The filters are blasted with air every minute to shake product loose, which is collected and returned to stockpiles. Ms Sperber said truck entry and exit doors were opened and closed by sensors which tracked the progress of trucks, ensuring doors were closed at times when material was tipped. A high-pressure truck wash system sprays about 1200 litres of recycled water a minute to clean vehicles before they exit. NSS will also install a 100kW solar panel array to mostly power the facility. NSS employs 260 people and operates at ports at Gladstone, Mackay, Townsville, Cairns and Weipa.